£50 non refundable deposit to secure booking on 3 or 4 day stays and £100 non refundable deposit on longer stay. Remaining balance and a £50 refundable damage bond payable 6 weeks before the start of your holiday. Please note we only accept bookings from couples and families. The price does not include funwork passes these can be purchased directly from Haven on arrival if required. 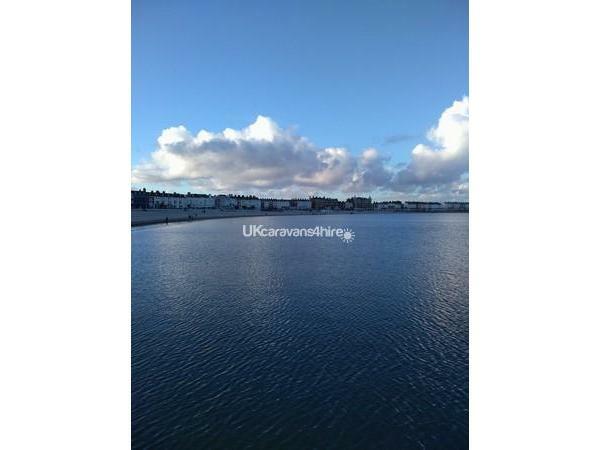 Our caravan is located in a quiet cul de sac a short walk from both the site facilities and the beach path. 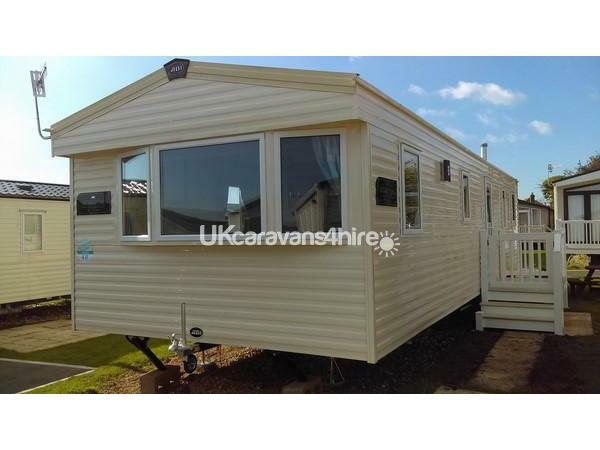 The caravan has side veranda with a gate to stop little ones escaping. We have our own tarmac parking space next to the caravan. There is also a lovely grass area with a picnic table to enjoy on sunny days. The storage box contains some children's beach toys and outdoor games you are welcome to borrow during your stay. 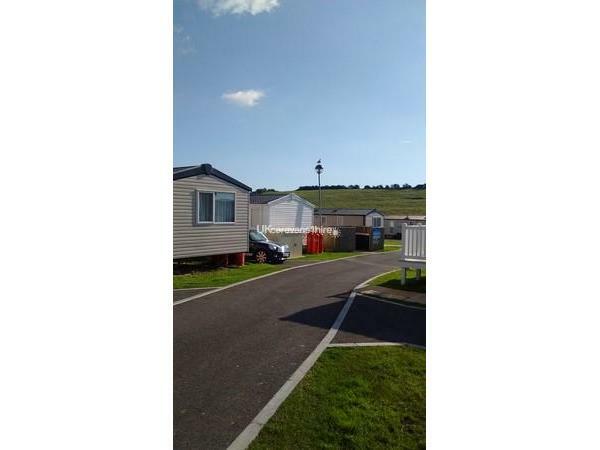 Please note Haven doesn't allow ball games by the caravans but there is a sports field just a short walk away. 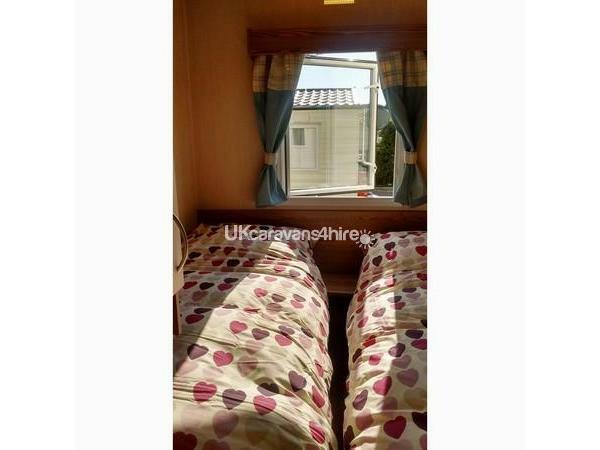 There is one double bedroom and two twin rooms. All the bedrooms are double glazed and have blown air heating so are cosy all season long. 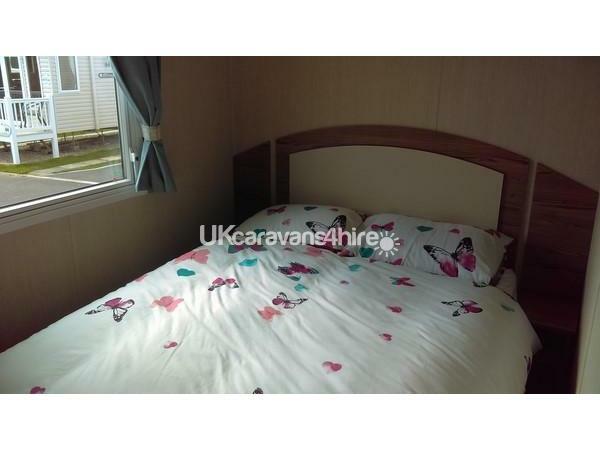 They also all have bedside tables, mirrors and wardrobes so plenty of storage space and room for home comforts. Duvets and pillow are provided. Unfortunately we do not supply linen but this can be hired direct from Haven at a small charge. You will need to provide your own towels and tea towel. 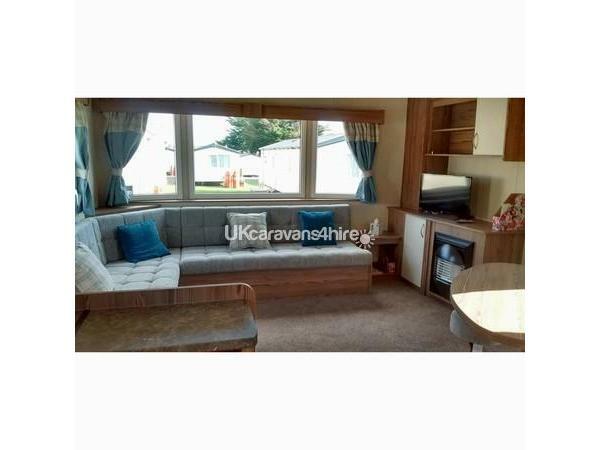 The living room is lovely and spacious with plenty of sofa space for the whole family. There is a TV with freeview and integrated DVD player. We have put a few DVDs and board games in the cupboard to keep the kids (and adults) amused in the evening or on rainy days. We have also provided leaflets and information about the local area so you can make the most of what the park and its surroundings have to offer. 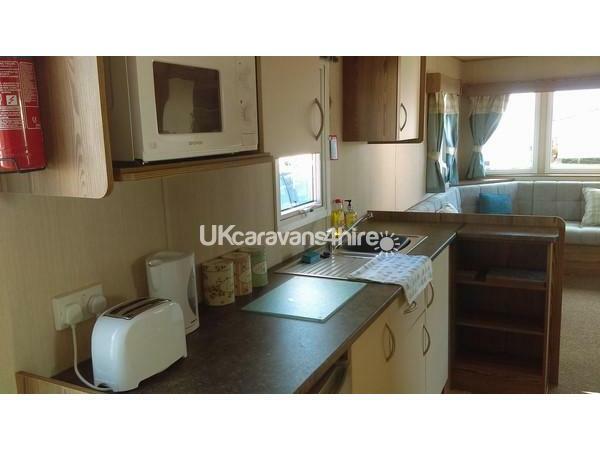 There is also a dining area so you can enjoy a nice home cooked meal or sample one of the local takeaways in comfort. The open plan living and dining area benefit from a gas fire and double glazing. There is a kitchen with everything you might need to keep the family fed during your stay. 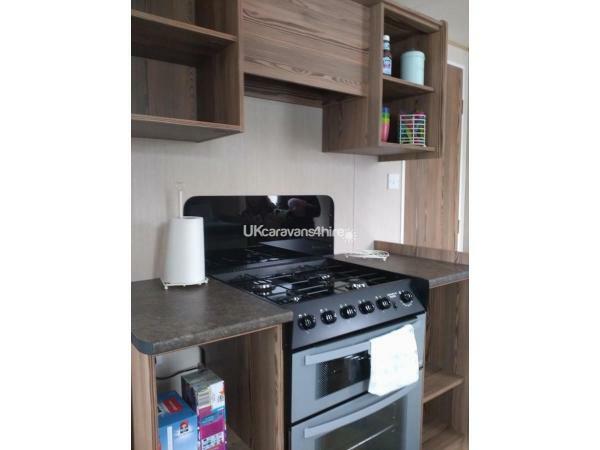 There is an oven with grill, fridge/freezer, microwave and toaster. There is a full inventory of tableware including for children's items as well as a full range of cookware. There is plenty of storage space in the kitchen. We also regularly restock tea, coffee, sugar and basic cleaning items so although we can't guarantee it you should find some domestic items to get you started on arrival. 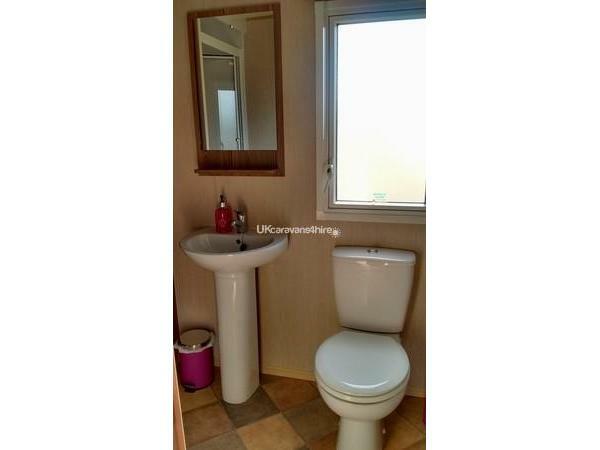 The caravan has a spacious shower room with basin and toilet. 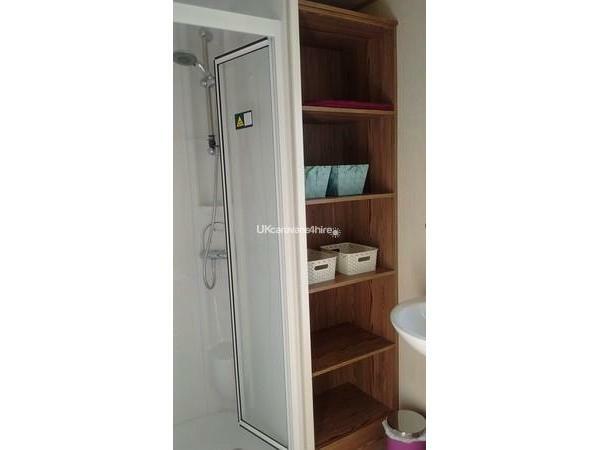 There is also plenty of room for the whole families toiletries. In additional there is a separate toilet and basin so no queueing for the loo.